Launch Scan Tools by Launch Tech has a strong reputation for their auto scan tools. But with many products on the market, how do you know what tool is the tool for you? 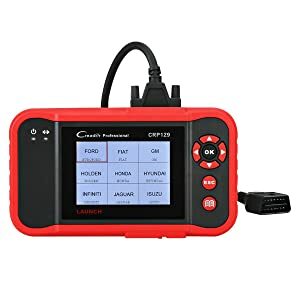 Whether you are a beginner user or have been working on cars for years, this review can help you find the best Launch scanner that fits your automotive needs. In this article, I have narrowed it down to the 7 Best Launch Scan Tools on the market. You deserve the honest truth about products before you buy them, I am here to help you find the tools you are searching for. 5 Conclusion: Launch Scan Tool for your need! Depending on your mechanical knowledge or the job you’re looking to complete, everyone is in search for the tool that matches your criteria. Those Launch scan tools are accordingly made into different styles to meet diverse automotive needs. Between the CR Series, DIY Series, and the advanced X341 V, this review should help you find the Launch scanner that is best fit for you. For beginner users, DIYers or for knowledgeable mechanics looking to get their hands on advanced technology, Launch has a product for you. Can quickly read and clears codes, compact style. The best bang for your buck. Large screen size and compatibility features for many makes and models. Wireless, large screen, fast read, and live data streaming. Many users had problems with updating this device. All the features needed for beginners and mechanics at the best price. OBD2 Automotive Diagnostic Scanner that can help with Oil Light Reset, ABS bleeding, BMS battery reset and more. Wireless Bluetooth Technology that puts all the equipment of the auto shop into your hands. Compact size with all the functions of the advanced device. First take a look at the CR Series, designed for beginners to knowledgeable mechanics. Most noteworthy, The Launch CReader 7001F is a compact scanner that is user-friendly and well worth the price. The Launch CReader 7001F is a tool that can help you read and clear DTC codes. 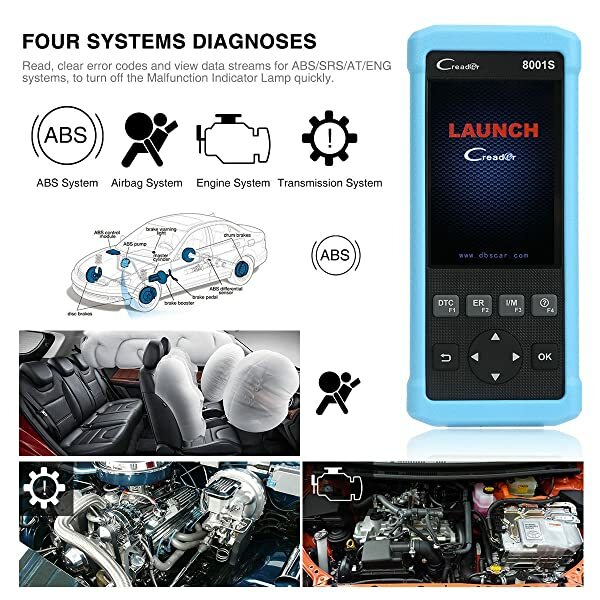 This auto scanner is an OBD2 Automotive Diagnostic Scanner that can help with Oil Light Reset, ABS bleeding, BMS battery reset and more. This tool comes with a 3.9ft cable connector that is compatible with most cars. No batteries are necessary, plus it in and it’s easy to use screen and buttons will help guide you. For less than $175, you can have the tools of a mechanic in your hands. Even more, this device can help you pass a smog test by notifying you for vehicle readiness for an emissions test. This tool is updatable, but be warned many users have difficulty with the registration process and updating website. Keep in mind that this is a diagnostic function tool and it is unable to read the transmission code. It is compatible with 40 vehicle makes and models from 1996 and newer. It even functions with some 12V diesel engines. However, it is advisable for buyers to use the Launch customer support feature to make sure your car is compatible with this device. Some information is unclear whether it is compatible with vehicles older than 2006. The Launch Creader 7001F is perfect for beginners or technicians. This tool can save you the trouble of going to the auto shop to turn off an engine light. Above all, for a basic scan tool, the 7001F will not disappoint you. For the best price on an OBD2/EOBD scanner, the Launch Creader 8001 is the choice for you. The Launch Creader 8001 can read common protocol on all latest OBD2 test modes. 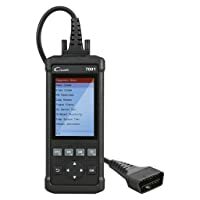 At just $110.80, this auto scanner can read the full diagnostic code and clear DTCs. Whether your problem is ABS, SRS, Oil Rest or EPB, this device can do it all. With a color screen and just 1.01lbs, this compact scanner is the perfect companion in your glove box. The data link connector helps you easily attach this to your car and begin reading and clearing codes. With a PDF user manual and a very responsive customer service, you should have no trouble quickly activating your device. The large screen allows for very easy navigation to help you find various functions with ease. This device can help reset brake pads after installation with the EPS functions. The Launch Creader 8001 works with some newer vehicle models with ease. Although this auto scanner is not compatible with every device, it is best to ask the Launch team about your vehicle before purchasing for verification. Consequently, some users had difficulties using this model with their 2004 Kia. The Launch Creader 8001 is a great tool for knowledgeable or professional mechanics in addition with an amazing price. In summary, If you want to save yourself time and money, but still reap the benefits of an awesome device, look no further. Lastly, for the top dollar of the CR Series, Launch has the CR8001S for just $206. This Multilingual code reader can give you full-service engine diagnostics in Spanish, German, Portuguese, and French. 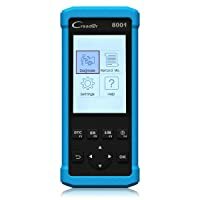 If you’re interested in fast diagnostics for oil service reset, SAS, BMS, and Freezeframe DTC functions, the Launch CR8001S is the auto scanner for you. Even more, with data stream technology this device will allow you to make sure everything in your vehicle is running smoothly. 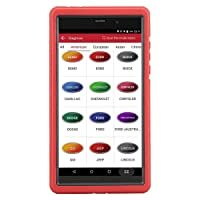 With a 4-inch color screen that is fast and easy to use, this auto scanner can help you get the job done in no time. The Launch CR8001S comes with a case, cable and device with 4 hotkeys that allow for easy navigation. With the purchase of this scanner, you will also receive lifetime updates and a 12-month guarantee to ensure reliability. Additionally, you will receive a user manual that may be the least helpful part of this device. Users have reported an unclear manual and updating services. LAUNCH CR8001S boasts an amazing technical specification for lightning fast vehicle diagnosis. The Launch CR8001S is compatible with most US made cars from 1996 and up. For EU and Asian cars, this device is suitable for 2000 and up. Likewise, the Launch team will also double-check the suitability of your vehicle prior to purchase. The Launch CR8001S will be an effective tool for anyone with car troubles. As a result, if you happen to be a beginner user or an expert DIYer, this tool can help you. Secondly, if you’re looking for an upgrade from CR Series, the Launch team also has DIY Series which includes more features and functions for all car repair gurus. Take a moment to look at some different launch auto scanners in the DIY Series. The Launch X431 is an OBD2 scanner that comes with an 8GB SD card. 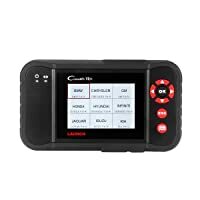 This Launch X431 CReader has live data stream with graphing functions to help users quickly understand vehicle diagnostic codes. LAUNCH X431 Creader VII+ is a multilingual tool, built with shockproof, durable materials in a portable design. At the steal of a price of $150, this device can give help and service information for DTCs. Complete with I/M Readiness, the user can monitor their fuel system, oxygen sensor monitor, and more. This tool goes beyond simple diagnostics, and can also test engines transmissions and airbags, however, this tool will not support oil light reset or SAS. This scan tool allows you to select the brand, make, and model of your vehicle in its easy-to-use interface. Because it is only compatible with more than 20 makes of American and Asian made cars, always ask launch before purchasing. Additionally, buyers should take note that this device will only support the cars after 2006 for certain diagnoses. Because of the advanced features, this device isn’t for a first-day beginner user. The launch team has created this product for a mechanic or experienced enthusiasts. Although, with a helpful and guided user manual, even non-car guys have found this interface quick and easy to use. This scan tool can read and clear ABS, airbag, engine, and transmission trouble codes for most vehicles after 2006. As well, this tool can help with oil reset, EPB and SAS reset. 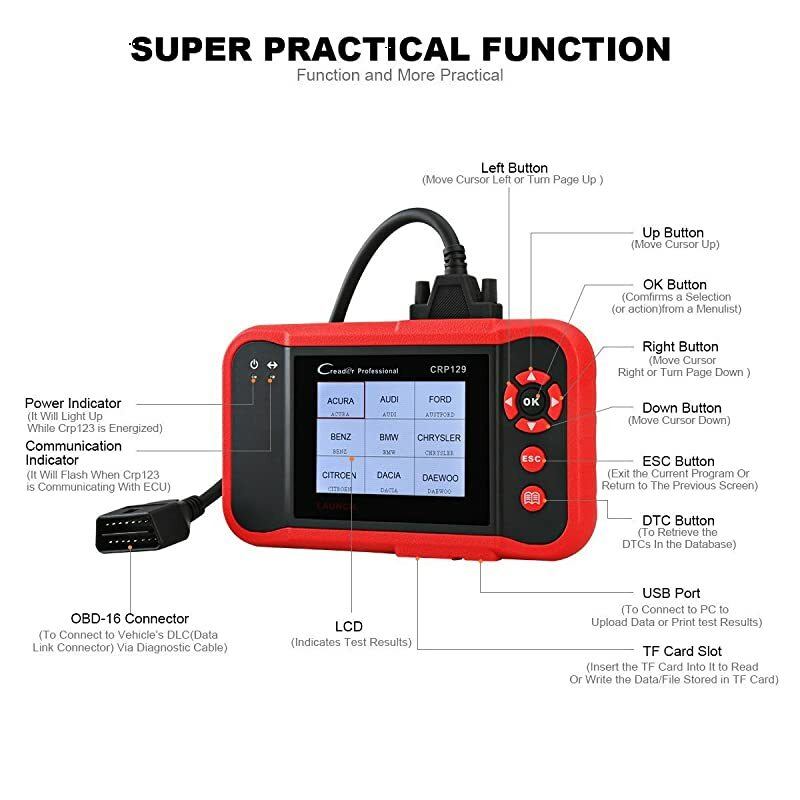 Because it was made from the X431, this device is loaded with complete diagnostic functions at a reasonable price. The Launch CRP129 is an OBD2 scanner that can read dynamic data stream from your vehicle’s engine. Consequently, the speed slows when in the data stream but it is an acceptable pace for diagnostic reading. Certainly, with a quick start for diagnostic work and easy button operation, this makes everything task you do feel smooth, smart and simple. Furthermore, It is a multilingual tool that is self-powered through the cord, no batteries necessary. This device comes with a good size OBD2 cable, a comprehensible user manual and a TF card for storage. Launch CRP129 is one of the best Launch scan tools in the market. This device includes extensive system coverage of most 1996 US-based, 2000 EU-based and newer vehicles compliant with most OBD2 protocols. This works with more than 40 different types of vehicle models. In summary, the Launch CRP129 scanner has an impressive response time for all graphing and mechanical needs. As a result, this device is great for experienced mechanics or enthusiasts. With itś user-friendly interface, every technician is able to use this scanner like a professional. Lastly, for more experienced mechanics that need advanced tools in the auto shop, read about the top picks from the Launch X431 Series. Firstly, the Launch X431 V is a Bluetooth device that can read DTCs, update you with live engine data streaming and additionally, read codes for all systems-including your fuel and power systems. This auto scanner can also read transmission error codes as well as exterior and interior body problems. The hands-free tablet runs on an Android operating system, so you can use it like a personal device. It doesn’t stop there, the functions are endless. Even more, this device covers transmissions, ABS, SRS, Body control module, Suspension, TPMS, key programming and much more all in one tool. An added bonus is the multilingual functions, it has capabilities and functionality in other languages and countries. This OBD2 auto scanner has a very fast and smooth operating system to help solve problems quickly. A noteworthy point is that this device will not work until you register it online. This is a relatively simple task, just use the Serial and Registration number you can find within your user manual. Registering the product is to help avoid counterfeit products on the market. For the higher price, the Launch X431 V scanner includes updateable functions that provide compatibility with many vehicles makes and models. 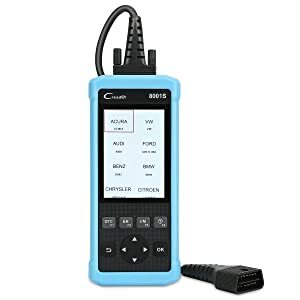 This tool can work on some 12V diesel engines, however, if you have a Lamborghini, Ferrari or a Maserati, don’t expect every function to work on your luxury vehicle. Before your purchase, you can give your VIN number to the Launch team and they will assist you in determining if this tool will be compatible with your vehicle. Keep in mind, the steep price will mostly benefit those who will get the best use out of the all the features and functions. 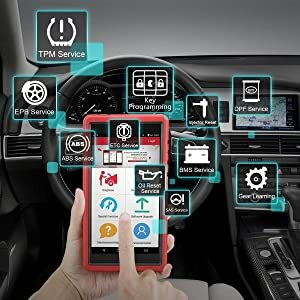 Therefore, I would suggest this particular auto scanner for Mechanics, Car repair Enthusiasts or those who prefer a hassle-free way of car diagnostics. Additionally, this tool is good for all of the hard-working mechanics who appreciate Bluetooth devices. And last but not least, for a smaller price at just $791 and miniature size compared to the X431 V, the Launch X431 PROS Mini is another handheld Bluetooth device that is loaded with all the functions of the larger model. With an HD full-color display touchscreen, this easy to use device includes loads of data for reading clearing codes on your vehicle. 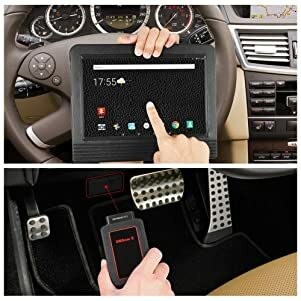 The bonus Bluetooth and internet connectivity will maximize your time in the auto shop. Some of these functions include viewing live data-stream, reading, and clearing of diagnostic trouble codes, Oil Reset Service, Steering Angle Calibration, Electronic Parking Brake Reset, Battery Register, Battery Maintenance, ABS Bleeding, Electronic Throttle Position Reset. 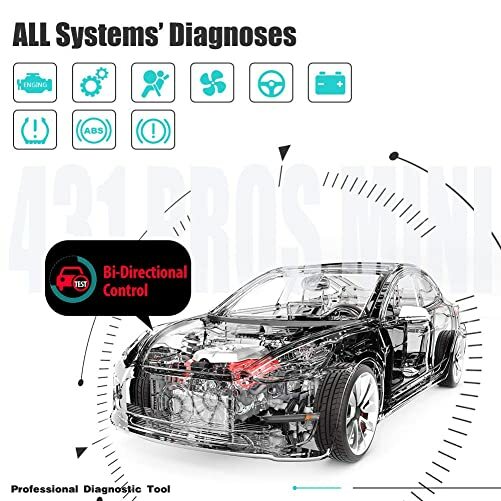 LAUNCH X431 PROS Mini – a professional OBD2 scan tool for mechanics. Above all, you will be able to increase your work efficiency by working wirelessly with the X431 PROS Mini. Depending on what type of car you have, this device will probably cover your make and model. It is compatible with OBD1 adapters and comes with some old connectors to fit OBD1 vehicles. Whether you drive a BMW or a Subaru, this device will give you wireless coverage to read and erase diagnostic codes on your vehicle. 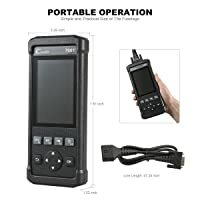 This Launch X431 PORS Mini device is a completely packed, yet compact diagnostic tool that will help professional mechanics get the job done without bending over the hood of the car. Thus, this is a fairly priced device for efficient and experienced professionals. Conclusion: Launch Scan Tool for your need! Above all, buyers want to find the product that is compatible with their vehicle and efficient for the job. Whether you’re a beginner mechanic or have been working for years, the different Launch Series has a product for you. For beginners, I would recommend the CR Series. For DIYers, check out the DIY Series. Launch created the name with you in mind! And finally, for advanced mechanics, your auto shop is incomplete without the X431 Series. As a result of this article, I hope you can select the product you’re looking for with ease.